List Your Rental Apartment, Condo, or House with the Housing Center! 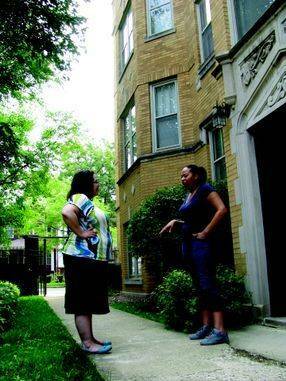 List your property with the Oak Park Regional Housing Center. Call us at (708) 848-7150 or fill out the form on this page and contact us today! More than 40 years of marketing experience in the rental industry. We can help you understand and apply for Village funding programs. We can provide referrals for remodeling and repairing your rental property. We can advise you on companies that can offer the best tenant screening and background checks and which pre-lease documents to use. We can help you take advantage of the best market timing to list and renew your leases. We can advise you of local products and services to help you retain and renew your tenants. Questions? Ready to list? Call the Housing Center at (708) 848-7150 now!